Boulder City’s Airport Advisory Committee is recommending City Council change the group to allow for fewer members as well as new member requirements and different duties. Celia Shortt Goodyear/Boulder City Review Airport Advisory Committee Chair Deborah Downs listens to a fellow member's comments during their meeting Tuesday. 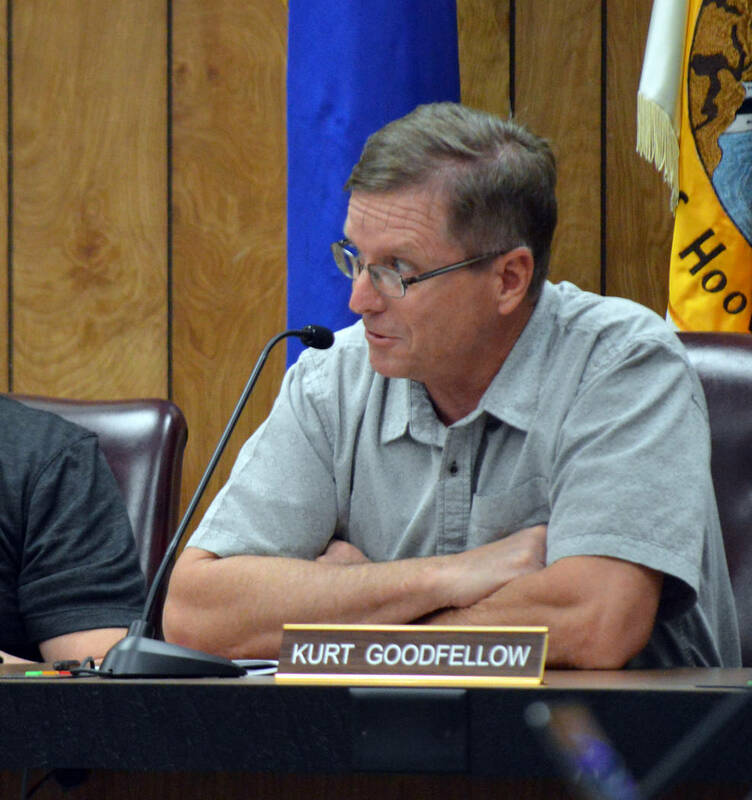 Celia Shortt Goodyear/Boulder City Review Airport Advisory Committee member Kurt Goodfellow comments on the proposed changes to the committee during its meeting Tuesday. Boulder City Municipal Airport Manager Jennifer Lopez presented the proposed changes to the group Tuesday evening at its first meeting in a year. She had presented them to the City Council on Dec. 12, but the council set them to the Airport Advisory Committee to discuss before voting on the resolution. The proposed changes include reducing membership from seven members to five; changing members’ qualifications to those with verifiable airport or aviation experience rather than just those with a pilot certification, current flight review, and medical certification; allowing for quarterly meetings, pending agenda items, rather than monthly ones; and changing language to say the committee may do things rather than shall do things. The proposed changes also include language that said the committee could consider, investigate, make findings and report and recommend on any special matter or question within the scope of work and when requested by the city, city manager or her/his designee. The committee was created in 1994 to advise the City Council and city manager on matters concerning the airport’s master plan, rules and regulations, and maintenance of the municipal airport. Since 1994 it has not been restructured or re-evaluated despite hiring a full-time airport manager in 2008 and currently having three full-time employees with education and experience in airport management. “To me, I don’t have a huge problem with it because we still are doing the same things,” said committee member Kurt Goodfellow. “We’re going to listen to what the public has to say. We’re going to discuss amongst ourselves the things that we consider to be issues, and we’re going to let the city know what we think needs to be done, and I don’t see that to be changing from what was done in the past,” he said. 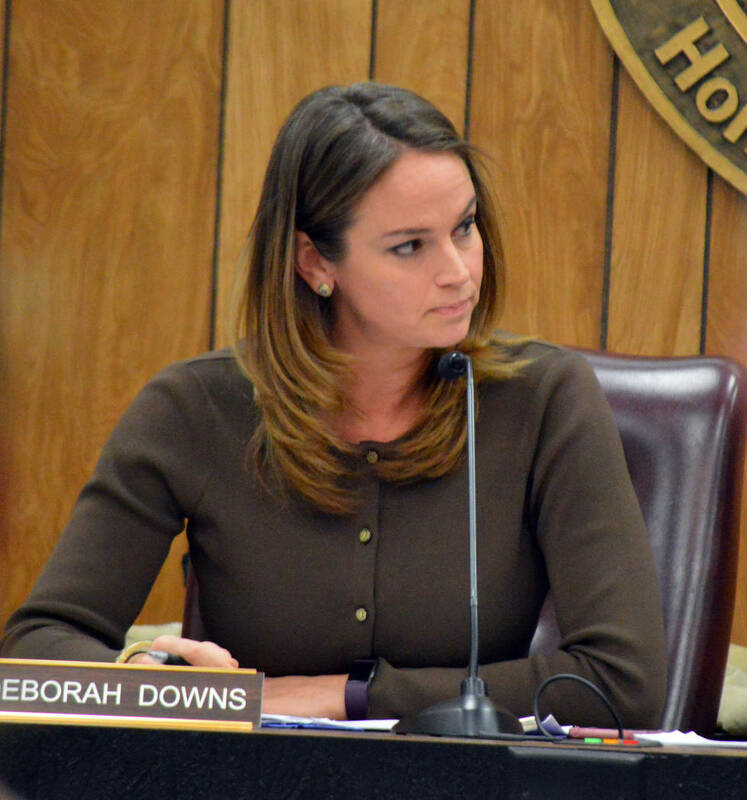 Committee Chair Deborah Downs said that she would be OK with the proposed changes as long the ability to report and recommend on any special matter or question within the scope of work was more open. She suggested changing the requirement for those issues from whether the airport sponsor requests it to whether it is requested or not. Goodfellow also suggested adding that additional meetings could be requested by the committee as required. The members unanimously approved recommending those changes to the City Council with their corrections. During the public comment at the start of the meeting, several airport users and hangar owners expressed their support for the change in the number of members as well as their concern about the possible change in duties. Several lease holders were also concerned about their rates changing when their leases end in 2020 and asked committee members to keep them informed. At Tuesday’s meeting, the committee also recommended the realignment and reconstruction project for Taxiway A, which is part of the 2018 Airport Improvement Program grant project. Lopez said that this approximately $3 million project was being done because a state study in 2014 rated the runway as poor. She also said that the airport is competing for discretionary funds in order to complete this project in one fiscal year. The Federal Aviation Administration is responsible for approximately 90 percent of the cost, according to Lopez. Goodfellow said that he voted to recommend the project because he did not know how they could change it. The members unanimously approved the recommendation. n Received a presentation about updating some airport rates and fees. Lopez said increases to commercial operating permits and transient apron fees are being proposed, but there are no specific amounts yet. The new fees will be discussed at a meeting Jan. 29 and will go before City Council on Feb. 13.
n Heard an update of the airport master plan that will be available Jan. 29 on the airport’s website. There will also be a public information workshop from 5-6 p.m. Feb. 5 and a formal presentation to the committee at 6 p.m.
n Approved removing Jim Gross from the committee as he had three unexcused absences from meetings. Lopez said that she had called and emailed him numerous times with no response. n Announced the annual schedule with meetings set for Feb. 5, April 3, July 3 and Oct. 2.
n Re-elected Downs as chair and Gary Berger as vice chair of the committee.